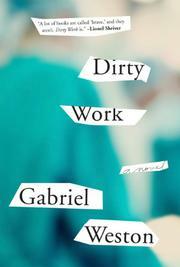 A London doctor is summoned before an ethics board for allegedly botching an abortion in Weston’s fiction debut. Dr. Nancy Mullion, a fledgling gynecologist, faces a potentially career-ending hearing before a hospital tribunal. Her patient, the subject of the inquiry, lies comatose in the ICU, connected to a ventilator. The hearing, which acts as a frame of sorts for the story, proceeds in increments, as Nancy, too frantic with guilt to focus on defending herself, relives the childhood, young adulthood and professional life that brought her to this pass. Nothing in her relatively benign early life has prepared her for this catastrophe. A brief and happy stint in America, some romantic disappointments and grueling surgical training have left her psyche mostly unscathed. However, due to social anxiety and a self-confessed inability to say no, she's been steered into a specialty that her colleagues view as anathema: performing abortions. Nancy is steadfastly pro-choice, and has had an abortion herself, and she begins to see the hypocrisy of a medical system which has marginalized the practitioners who do this “dirty work.” As she recognizes that her unearned status as a pariah and scapegoat has compromised the impartiality of the doctors who are judging her, she is finally able to confront what actually happened in that particular operating theater and come to terms with her conduct. Perhaps out of reluctance to bore or puzzle the layperson, readers are not told in any detail what transpires at the hearings, and as a result, the question of Nancy's culpability is somewhat blurred. Her ambivalence and her anguish over the impossible dilemmas visited upon both herself and her patients are sharply delineated, however. A cautionary professional coming-of-age tale which faces the moral quandary posed by abortion head-on.